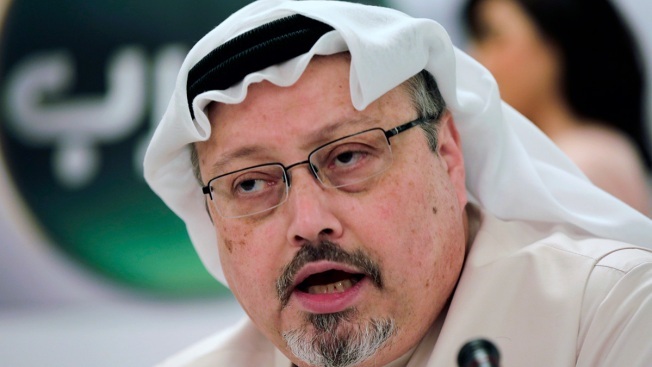 Khashoggi wrote critically of Saudi Crown Prince Mohammed bin Salman in columns for The Washington Post before he was killed. After denying any knowledge of Khashoggi's death for weeks, Saudi authorities eventually settled on the explanation that he was killed in an operation masterminded by former advisers to Prince Mohammed. The kingdom denies the crown prince had any involvement. The list released Monday includes Saud al-Qahtani, a former aide to the crown prince, and Maher Mutreb, who was part of the crown prince's entourage on trips abroad. The names had already been announced publicly, but Monday's designation tells them their family members are now also at risk of being subject to a travel ban.